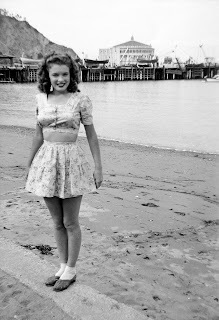 Can't be absolutely sure but it looks Marilyn Monroe (in her Norma Jean days?) might be posing on the beach at Balboa Island. It's a really cute set! I love the big blue buttons. That is gorgeous! I love the colour combo. super cute! 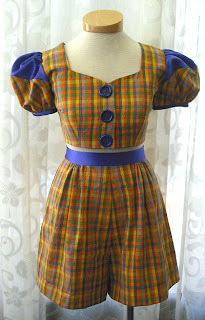 love the giant buttons. This is so cute! 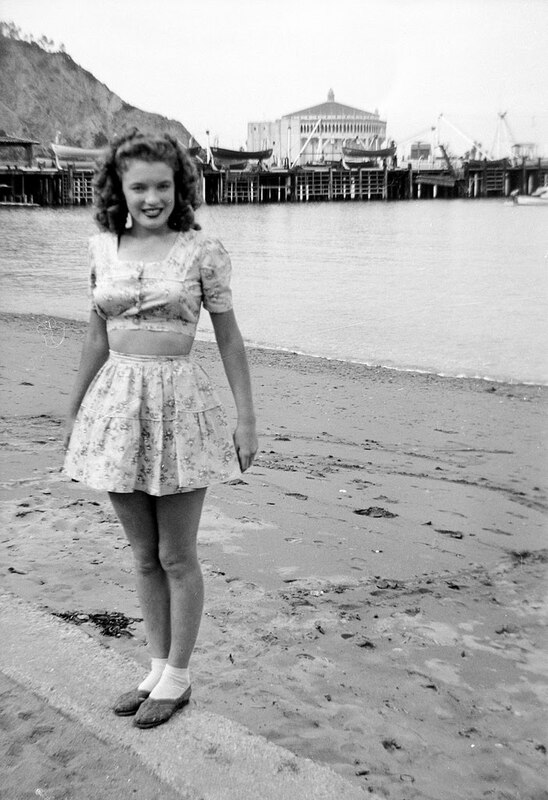 Never seen that pic of Marilyn love her Norma Jean days! So cute! 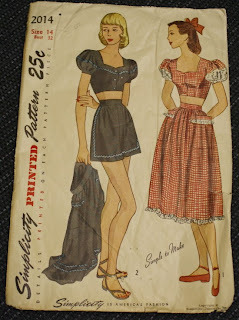 I was admittedly in the anti-romper camp until recently, but all these retro 40s/50s playsuits have changed my mind!